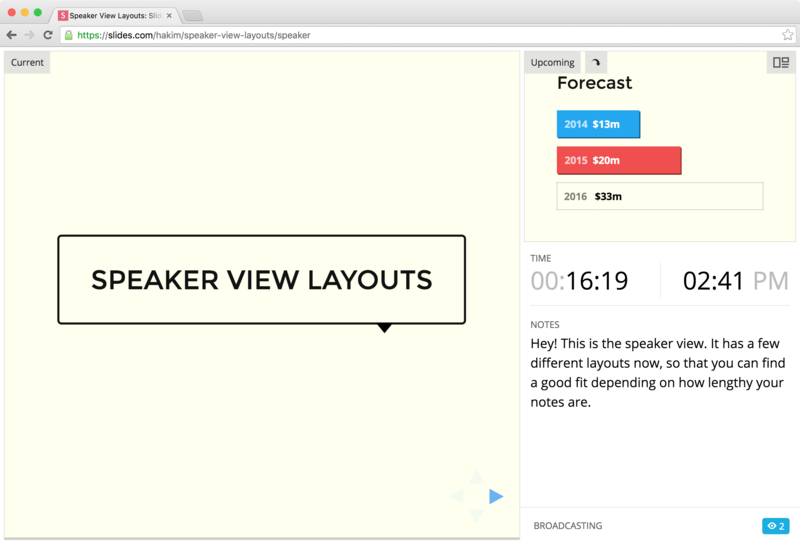 When presenting you'll see your notes appear inside of the speaker view when their corresponding slide is visible. You can also see your notes on a mobile device through the remote control. 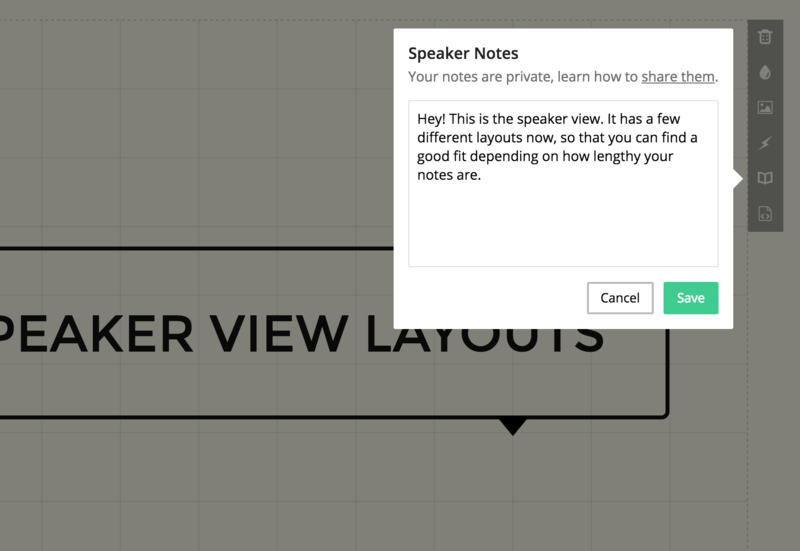 It's also possible to opt-in to sharing your speaker notes with anyone who views the deck.